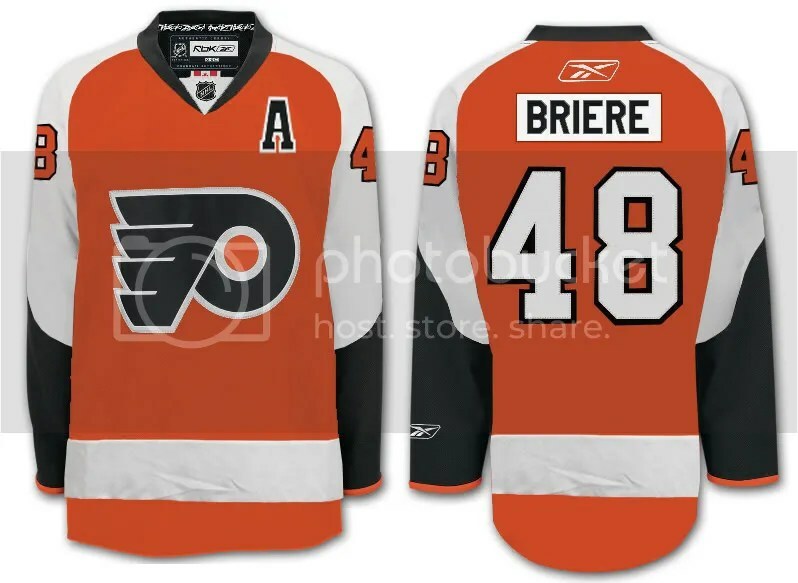 As many speculated, the Philadelphia Flyers, along with many other teams, will sport brand new alternative “third” jerseys for the upcoming 2008-09 season. The Flyers’ “new” jersey will be a replica of the Flyers’ 1967-68 style that featured orange as the primary color, with white on the shoulders and a white stripe at the belt line. The players name will be black on a white rectangle and the wrist areas will be black seen here in an artist render ing. The orange alternative jersey has been rumored to be in the works for months, but has only recently been confirmed by the Flyers’ official site unintentionally and unofficially. Black and white jerseys are available this year. A third orange jersey will be released next year. This evidence should assure fans that by the preseason, the new retro style will be in stores. Other teams going retro are the Edmonton Oilers, New York Islanders, Boston Bruins, Buffalo Sabres, Pittsburgh Penguins and Vancouver Canucks. The Chicago Blackhawks, San Jose Sharks, Ottawa Senetors, Carolina Hurricanes and Phoenix Coyotes are going black as the base color for their new styles. The Atlanta Thrashers, Phoenix Coyotes and Boston Bruins will be sporting new logos as well. wow thos are P-I-M-P!!!! hope we get em… btw.. wen r they gonna b 4 sale??? ?